We were very fortunate to be able interview the lady behind the extremely successful site the Lady Boss Blogger. Elaine Rau is the hard working and talented lady behind this successful site for female entrepreneurs. 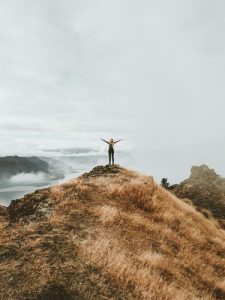 Many women come to Elaine’s site looking for inspiration and motivation as well as business tips from the many interviews and guest posts she has on her site. So why don’t we get to it, I am sure you’re keen to find out more about how Elaine became so successful. Tell us a bit about you and your blog? I feature female entrepreneurs from all walks of life and from all over the world on my blog, LadyBossBlogger.com, via interviews and guest posts as a source of inspiration, motivation and continued education for current and aspiring entrepreneurs. 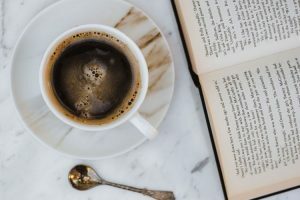 I read you started your blog as a way to connect with other women and online experts – but why did you choose a blog? I didn’t always have stable internet so I needed something that consumed little bandwidth. I was living in a third world country and sometimes our electricity would go out for days, so I needed to craft my interviews in a way that allowed me to work offline, which is why I sent them as word docs so I could download and edit them offline if need be. Additionally, I wanted to be able to reach people on the other side of the globe who sleep when I’m awake and vice versa and the best way to do that was simply to send them the interview to complete on their own time. How did you go about starting a blog? I wanted to blog about lady bosses around the world to gain insight into the way they did business regardless of their backgrounds, cultures, and upbringing and see what concepts overlapped. What is one key bit of advice you would give someone who wants to grow their blog? Be patient, your blog isn’t going to boom overnight. It’s a fierce combination of consistency and perseverance that will take you from where you are to where you want to be. Seek advice from those who have gone before you. What do you think you have done differently to others to make your blog a successful business? My blog was never about me, that is where most bloggers trip before they even start. My blog was a resource for other people, including myself! I was an avid reader of my own blog! I wasn’t the expert, I showcased experts and in so doing, I learned from the best. What advice would you give to entrepreneurs who want to start building a social audience starting with zero followers? Post every single day on all of your platforms. If you don’t have a constant presence online, you’ll fade in to the background. That being said, make sure the content you’re putting forth benefits the people who might see it. If your posts add value to people’s lives, you’ve got the success formula. But once again, be patient, building an audience is like growing a tree, you must plant the seed, water it every single day, and watch it grow steadily. Most people who you see as ‘overnight success stories’ have been plugging away in the dark for years before they surface. Even the ones that have only been doing it for a year. I worked on my blog from the minute I woke up in the morning at 7am to when I closed my eyes at midnight. I posted on my blog 365 days without fail. Did my consistency and perseverance pay off? Yes it did. You must put in the work. My audience of 100K followers didn’t just magically appear. I started at zero a year ago as well. What is one bit of advice you have heard from an entrepreneur in your interviews that has really stuck in your mind? It’s not the opportunity didn’t work for you, it’s you didn’t work for the opportunity. Follow Elaine/ Lady Boss Blogger on her blog and social! These are 10 fantastic Female Entrepreneurs and founders you should know. These women have been influential in founding their companies and making them the success they are today. Take a look and see how many of these inspirational women you know. 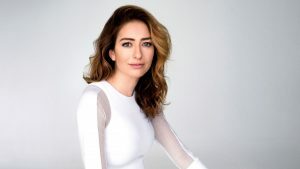 Whitney Wolfe founded Bumble the US’s fastest growing dating app with a difference- Women initiate the conversation first. She was also the Co-founder of Tinder, however, her negative experience at Tinder inspired her to create Bumble. Bumble focuses on women’s experience within the mobile app dating game and is now a fierce competitor to Tinder. 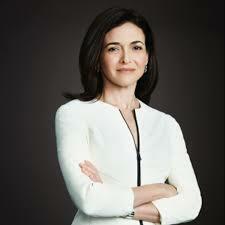 Sheryl Sandberg played a crucial role in the success of Facebook as their Chief Operating Office. She is also the first woman to serve on Facebook’s board. Her successful career includes working as the vice president of global online sales and operations for Google. On top of all this, she also founded Lean in Foundation which supports women by giving them a supportive inspiration environment to seek advice and motivation to help achieve their goals. She is an admired within the world of business for being one of the great Female Entrepreneur that paved the way. 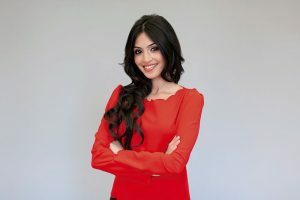 Payal Kadakia if the founder of the successful fitness class booking company- ClassPass. ClassPass provides users with access to hundreds of classes in their city for a flat monthly fee. 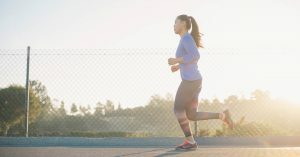 This was the perfect fitness motivation and solution for people who simply want to join the gym for the classes rather than using the gym equipment, or who wanted to try something different. Kathryn is the CEO and co-founder The Muse, an online career website which offers people the chance and opportunity to progress in their career. They offer job listings, company reviews, Skill building resources and coaching services. 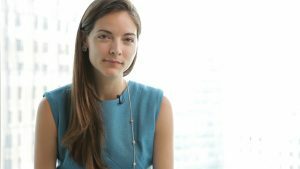 Kathryn Minshew has been recognised for her work and as a result, was given the title of Forbes 30 under 30 recognition in 2011. Then in 2016 was named New York 50 award winner by SmartCEO magazine. Katie Beauchamp and Hayley Barna founded the beauty subscription service called Birchbox in 2010 and within 5 years had over 1 million subscribers. Consumers sign up for a monthly subscription plan to receive a sample selection of beauty products. Due to consumers desiring to test out the products of various high-end beauty brands before committing to buy them this made their venture very successful. Jessica Alba the well-known actress from Fantastic Four founded The Honest Company in 2012. The Honest company sells baby, personal and household products to consumers that don’t contain any unnecessary chemicals. Therefore you can see why they strive for renewability with ingredients that are plant sourced and to have sustainable packaging. An actress and part of our wonderful Female Entrepreneurs. 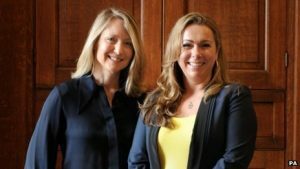 Holly and Sophie started the online marketplace where small businesses and entrepreneurs are able to sell their carefully crafted products to a global audience. The core of their idea is that they wanted to supply people with unique and wonderful products that could not be found on the high street. This website offers a lifeline of opportunity to small creative businesses and gives consumers something truly original and personal. These are two fantastic Female Entrepreneurs you should watch. 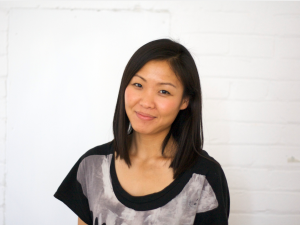 Michelle You is the co-founder as well the chief product officer of Songkick. If you’re a music lover then this online site where you can find tickets for the latest gigs and concerts. The company has grown massively over the years and now rivals Ticketmaster for concert information and tickets. Happy World book day! This was an occasion I loved at school when we were given a £1 token to buy a book. However, being the adults that we are, we don’t get a lot for free. So what are the books you should be reading? If you have ever spoken to a successful entrepreneur or side hustler, I bet you a lot of them would have said they read a lot. I guarantee you there is one book they would all recommend as it had an impact on them. In this list below, we cover our favourite books as well the well-recommended titles. These suggestions should inspire, educate or help any side hustler to take their next steps. Here are the books you should read! This is a team favourite. 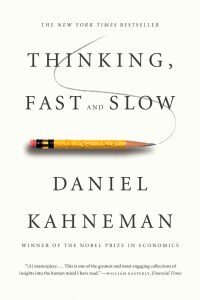 Kahneman looks at the cognitive process of system 1 and system 2 in our brain and the way we make decisions. It covers three phases of the Nobel Prize-winning author’s career working on cognitive biases, prospect theory and happiness. It’s very dense in its knowledge and there is a lot of information to process. It’s a great read and probably one to come back too if you have read it before. This should be high on your list of books you should read this year. Gary V as you may know him is an internet sensation. He is a personality and inspiration in the world of entrepreneurs. In this book, Gary discusses the importance of a brand personality and discusses stories of other entrepreneurs successful ventures. One important area he focuses on is social media. While you may be thinking yeah I know social media, I have facebook, I use Twitter; His insight and guidance demonstrate how a business can harness it and leverage to grow it’s personality further through connecting with its audience. This is a fantastic book to read for pleasure and for business. I had a great time reading this. It’s full of fantastic advice for business and approach to things such as creativity, problems and life which are all told through other people’s real stories. You can read two very good stories for free on Amazon by clicking look inside. This will give you a great taste of the book. It’s packed with moving stories that are so influential and with funny stories, each bringing a moral lesson or piece of advice. A lot of business books are very hard to read as they are full of detailed knowledge and fully explained concepts. This book differs from the rest, it’s great for those with a short attention span like myself, giving you the gist of what it’s saying over a couple of pages. A very very enjoyable read that may have you laughing out loud on the train. Habit? A familiar word in every businesswoman/man’s vocabulary. We know the importance of habit but do we really understand the science behind it and what needs to be done to change habit? 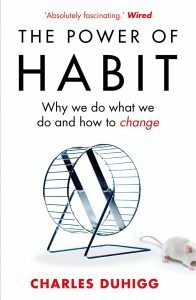 In this best selling and highly recommended book by Charles he explores the power of habit and the impact it has on our lives. 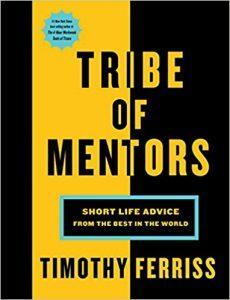 If you read this book you are likely going to do two things; break bad habits and start new ones. You will likely experience a higher chance of succeeding in this as you will now understand more about this behaviour and how it affects you. Get into the habit of reading and start with this one. This book is the New York Times no.1 Bestseller. It’s a book by the incredibly talented and pioneering psychologist Angela Duckworth who looks into the real backbone supporting people’s achievements. 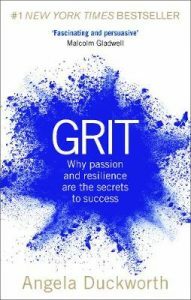 As you can tell from the title of the book it’s all about grit and the common trait among the most successful people in the world is there power to push themselves and persist despite the challenges they face. Duckworth has studied the mindset and behaviour of many successful people from a range of careers, chefs, entrepreneurs, athletes, and workers alike to find the thing that drives them all and share that with you in her book. Read this fantastic article to find out more about her and her journey. 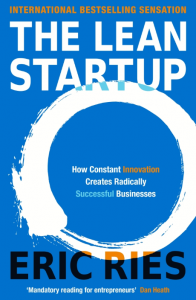 A great book if you are about to start a business or in the early stages of one. A startup is an environment that is constantly changing. This is the exact mindset you need to have and will have, once you have read this book. Eric takes us through his thoughts and advice on how you always need to be willing to adapt to change. This may because of the market, trends or behaviours and sights. A strong believer that you shouldn’t develop a product completely before taking it to market and you should always be prepared to change and adapt to a constantly changing environment. If you get your heart set on one idea and are reluctant to change then this book could be the one to teach you a whole new level of perspective on your ideas and how they will succeed. How many times have you thought I don’t like this job but it’s ok I will keep doing this. This book helps give you the confidence to start pursuing the career of your dreams. There are many questions people face when thinking of a career change or thinking of taking a riskier but happier career choice. 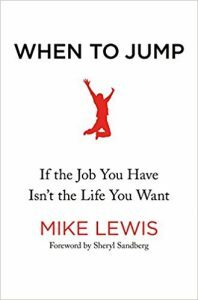 Mike helps you answer those questions by relaying stories of people who had made the jump and the sort of questions that went through their mind and how they choose to act on those thoughts. Is this your time to make the jump? order this book today! Daymond John released a book called ‘Power of Broke’ in 2016. This book looked at how you can start a business from the ground up when you have virtually nothing. 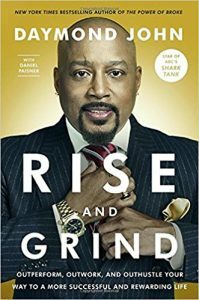 ‘Rise and Grind’ follows on from that, as it looks at what it takes to succeed once you have a business. Taking note of other entrepreneurs habits and stories he also draws upon his own career. John looks to give you the needed insight into the mindset and behaviours of a successful businessman. This book equips you with the knowledge and confidence to start practising what it takes to be successful even if you aren’t yet running your own empire. The man transformed our world. Everywhere you look you see something which resembles his apple empire, from phones, tech, and identity. 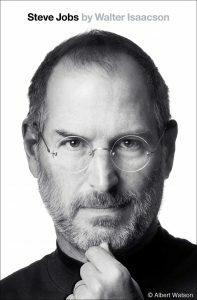 This book is so well written and carries rich lessons and insights from the man behind two of the world’s most successful companies ( Apple and Pixar). These brands transformed their industries- so why not learn about the man behind it all. 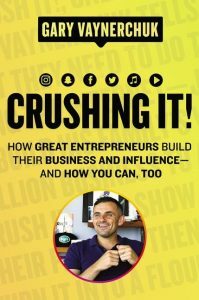 The book was written based on over 40 interviews conducted with Jobs as well an impressive 100 interviews ( or at least 100) conducted with family and friends of this incredible entrepreneur. 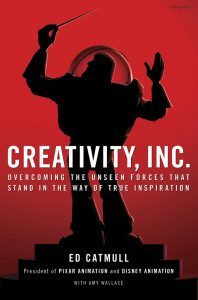 Ed Catmull the Co-founder of Pixar has written this book which looks at business through a very creative lens. Pixar is an incredible company and the man behind it has shared his insights for understanding the strive for creativity and originality in pursuing new twists on ideas. 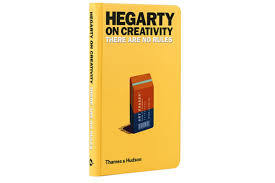 The book looks at how to build a creative culture which is so important in generating new and wonderful ideas that make a company so successful. As a creative man and a storyteller himself, this book reads like a storybook and is the perfect companion for your nighttime reading. Then dream sweet dreams- sweet dreams of creativity and Pixar. One of the books you should read this year. You may have heard of ‘The Talent Code’? well if you have this is the same guy who wrote that book. This one is about culture- you guessed it! What makes groups and organizations so successful? Is it the culture? Well if you think about it – culture directly affects your work. If you are in a supportive environment you are likely to feel more motivated and happy. Daniel Coyle looks what makes the world’s most successful organization click. Exploring the Navy seals, looking at how such diverse group of people and talent work together with a single mind to succeed. 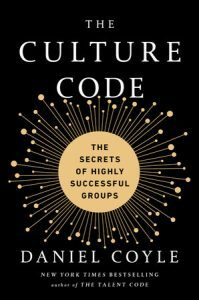 The culture code really ignites the reader with a passion to change and take control of their culture through the actions and behaviour they partake in. This is a highly recommended book, especially among female entrepreneurs. Unfortunately, women face increased challenges in business on top of the issues that everyone else has to struggle through. 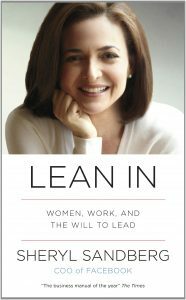 Sheryl Sandberg examines the issues women face in business and the problems of progressing past them. She then gives the readers stories and advice on overcoming those issues. After reading this you should feel empowered. Go fulfill your career ambitions and desires despite the many barriers that you may be faced with. A motivational read. This is a book that is very popular among creative agencies and people within the strategery career. 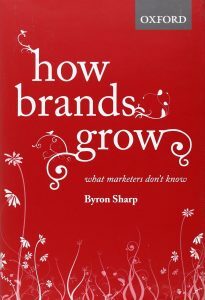 A thought-provoking book looking at evidenced based answers to the questions that marketers are asking. Advertising is a very important part of any business. Sharp delves deeper into how and why it’s important to understand your audience. You will discover how crucial the consumer insight is in creating your marketing/advertising campaign. Pop this book on your reading list. Go on do it now. This is the last book on our list but by no means the least important. A really fun book that will give you a few giggles whilst being very influential. You could probably read this book in a day if you wanted. It’s full of short one or two-page anecdotes for approaching creativity and should be read by everyone. It might not be your typical entrepreneur book but your approach to creativity is important for any business to succeed. You may have been flicking through your own library of images thinking nope not that one or that one, as you try to find beautiful photos for your business’ website, social media or blog. Fear not, the days of searching Shutterstock and Getty and discovering just how much you need to spend are over. There are a fantastic wealth of royalty free stock images you can access out there. You would be surprised by the quality – it’s outstanding. Explore the sites we have below; to give your business the professional look you need without emptying your pockets. This is the first place I was made aware of when I was stuck in the same spot as you. It’s shocking how good these photos are and how generous people are with sharing their love of photography through royalty free stock images. I know a couple of contributors who love the idea their images could help a young business. This is another fantastic site that has extremely high-quality content for you to use completely for free; regardless if it’s personal or commercial. Feels a bit like daylight robbery right? They have a great feature on this site where you can see the top photographers that are trending right now, allowing you to select images more easily. What’s nice about this feature is that these top photographers who are donating so much free imagery to this space can receive donations. So, if you feel guilty for using 15 of their images- although you shouldn’t, as they’re putting images out there to share; you can make a donation to this photographer to support them in their work. Think of it as a token gesture. This site is great as it has over 1.3 million photos up for use. This is fantastic as it has videos- a great resource for you to have. They also have vector graphs and illustrations! This site just keeps on giving! Definitely, pay them a visit. This site has a range of photos which you can search by category. Most photos also come in different sizes and come with a downloadable colour palette. More beautiful free images; not much more to say. This site was created by Designer and Photographer Viktor Hanacek in 2013. This site has a lot of photos with really useful category breakdowns to help you find that perfect image quicker. If you like a particular photo it allows you to see more similar photos that may have been taken at the same photoshoot. So, this allows you to handpick the images that do it for you. Who knew there would be such a selection of royalty free stock images. We live in a visual world, judging something by its cover ( even though you’re constantly told not too) we instinctively do it. Research has indicated you only have 7 seconds to make a strong first impression. Check out these sites and find the image that best suits your needs. It’s Wednesday and you’re already fed up with your working week. Are you ready for a change? It’s time to start your own business. Have you been thinking about it, but still not sure you’re there yet? We, think you might be ready to take the plunge if you’re showing the signs below. Read below to see if you might be ready. You’ve already tested the water – you know what works. You may have even started your side hustle or maybe you’re making a few sales on your blog. Perhaps a number of people have said you need to take this passion of yours full-time. Start up’s are a risky business. Which is why researching your market, audience, challenges and potential rewards are key before you get started. You may already have expertise in the area you are going into or experience from an existing profession. This will lower your odds of failing as you’re more aware of your industry and market. You know it’s riskier than staying in your current job but where’s the fun in that? Time and time again you hear of people who are not happy in their job. They feel like a cog in a machine, simply churning over the same work day in and day out. Large companies who are unwilling to change for fear of disrupting their processes are not going to progress at the rate you are. Start your own business and be your own boss- it can be so rewarding. Take control of the decisions you make, test out new ideas knowing that if it doesn’t work it’s ok- just go back to the drawing board. Your career is in your hands. You control how far you progress. You’re only limited by your own drive to succeed. 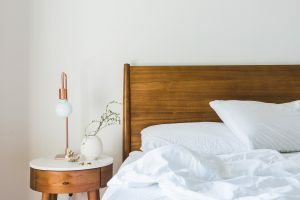 You won’t be hitting that snooze button when you’re running your own company. Monday mornings will actually feel empowering as you can get back to working on what you love and start making progress. Think about it – you work for an average of 50 years of your life and spend about 40 hours a week working. So, why not love and enjoy that time and look back on your life thinking you lived it well, rather than counting the clock till you can go home each day. Make money from something you love. If you start your own business it’s a constant learning curve as you discover all the things you don’t know (but need to figure out) in order to go forward. If you’re keen to start teaching yourself the tools you need to progress in your venture, then you’re ready. There are loads of great resources to follow that will teach you snippets of expertise to fill in the gaps that you currently have. To name a few, entrepreneur Tim Ferris and Hubspot are great to look into. There is a difference between failing and being a failure. Failing is inevitable, it’s part of the path to learning. Your company fails when you have failed to acknowledge failing is something that needs addressing. Opportunities can arise when certain parts of your business may fail as you can assess areas you may have previously overlooked. 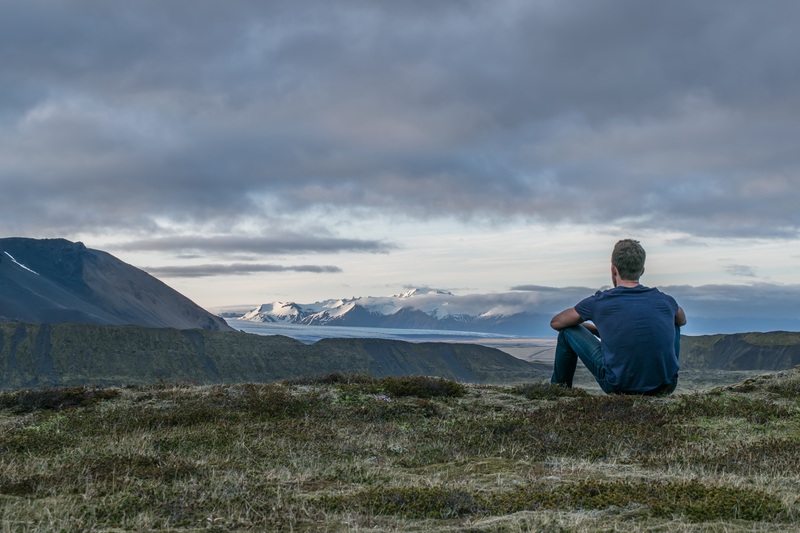 In the words of Winston Churchill who, if he had given up when he hit failure, it would have resulted in us living in a very different world today – “Success consists of going from failure to failure without loss of enthusiasm.” Start your own business. ‘Business’ and ‘inspiration’ are often not words that people would expect to see together. Oh, how wrong they are. It takes a lot to build something from scratch and develop it to the point where you’re not only living, but living comfortably while doing something you love. Below, you’ll find a list of resources which we think could help you to build your business into something truly special. 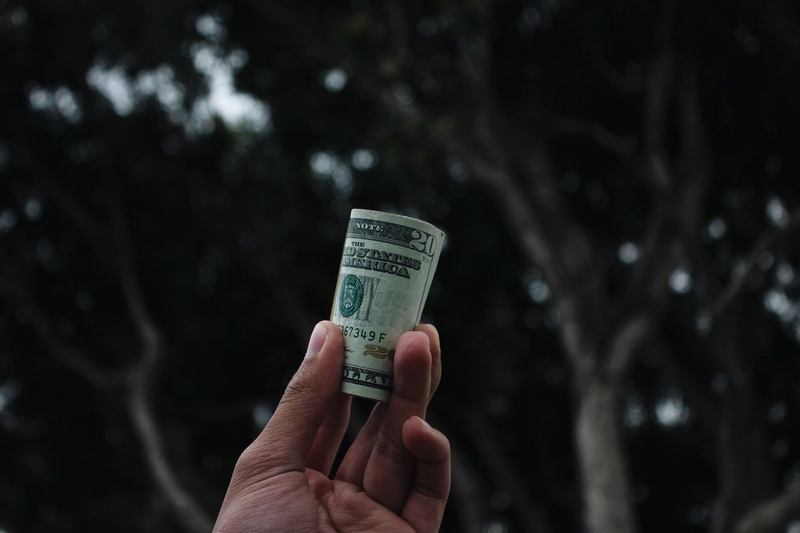 Sarah’s blog is specifically aimed at people who want to make money out of their blogs. It might seem like the lessons don’t apply to people with a very different business idea. However, blogs are a great thing to have for pretty much any business, so Sarah’s super-informative site is a great place to start. We especially love this post about how best to handle a really busy day. While Two Scots abroad is a travel blog, we came across this post and we love it. It gives some great info that works for people who are just starting out, or for those who want to step up their game. Fine, you might not be promoting your own travel blog, but if you’re trying to sell anything online the tips they offer would be a great way to start. Chloe is a freelance designer. She runs a beautiful website, as you would expect from a designer. However, we want to talk about her blog. 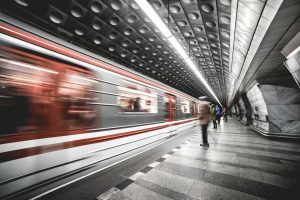 It’s a fantastic example of how a business can use a blog to showcase their work, as well as creating a ton of business-related content which people will want to share. If people share your content, they spread the word about you. This post gives some great ideas for what to post on social media when you get stuck. And you will get stuck eventually. It happens to us all. Living for Naptime is designed for mums who want to start a blog in their free time. But if you’re starting a business while dealing with something else that takes up a lot of time and attention (ie. that full time job you want to get rid of some day) we think there’s a lot to be learned from the brilliant time-saving tips on there. We particularly love this post about growing your Instagram. Give it a try! Tauni Everett has an amazing ‘Blogging + Entrepreneur Tips’ section on her website, which is packed full of information which is really useful whatever your business. For those looking to increase their social media following, we particularly love this post about organically upping your Facebook likes. But, really, the whole blog is a treasure trove. 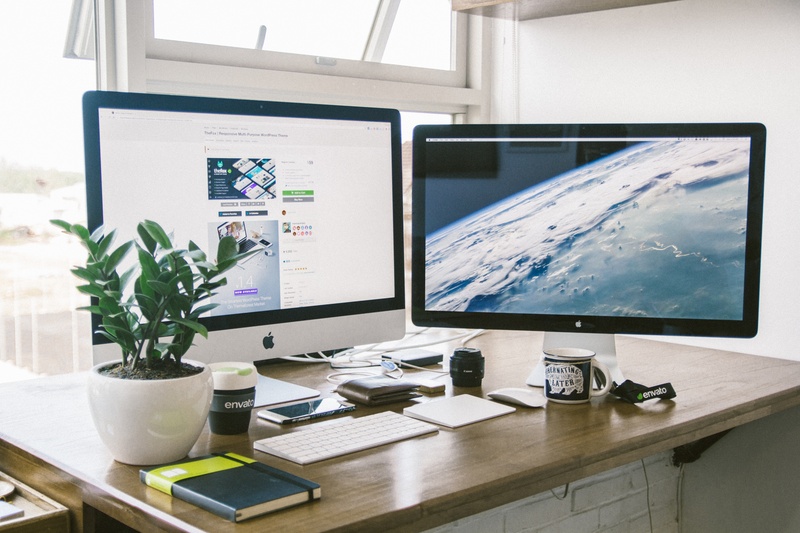 Once you’ve got yourself set up and your website looking great, you’re on the right track. But it’s not enough to just sit there and wait for your clients to roll in. This post on Nesha’s blog is especially great. It provides a run-down of loads of ways you can go about attracting clients. It’s all about putting yourself out there, and that post will show you how. Now. Real talk time. Did we miss any amazing sources of business inpiration that you think we should know about? Where do you turn when you need a kick up the backside? If you take away one tip from all of this, what will it be? So, you have your class up and running, and it’s looking great. But how can you get the word out and start to increase your booking numbers? If you have a Facebook page, you have everything you need to add a Call to Action button. This is a way to send people directly to your classes. You have the option of seven different CTAs (that’s right, we’re abbreviating) and one of them is, conveniently, ‘Book Now’. All you have to do is enter the link for your class and you’re away! Additionally, since you have your Facebook page set up and looking awesome, you could also consider paid ads or promoted posts on Facebook too. They’re a great way to increase the numbers of people seeing your content. If you have Twitter, start tweeting about your classes. The key to remember with Twitter is that you can’t just do it once. There’s an average of just under 10,000 tweets published every second, so you’ve got a lot of competition. Once your tweet has been out there for 18 minutes, the likelihood is that its been buried on everybody’s newsfeed. What that means is you really need to be tweeting about your classes at least once a day. Now, that sounds like a lot, but don’t panic – there are awesome sites like Buffer, Tweetdeck, and Sprout that allow you to schedule your tweets. Just line ’em up, and these services will send ’em out. There’s also the option of promoted tweets, but if you’re a paid advertising virgin you might prefer to do that on Facebook – it’s much easier to pick the right audience. 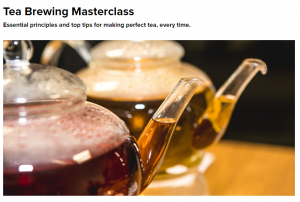 If you have your own website, add a linked image to your sidebar to say ‘hey, I teach online classes’. That way, whatever page a potential student is on, they’ll always see the option to book. If your site gets a lot of traffic from people who aren’t local to your in-person classes, this is a great way to increase bookings from that audience. In fact, feel free to use the embed codes below for a stylish way of linking your website visitors to your classes. These can be pasted anywhere on your site. Don’t forget to change the URL in the code to the URL of your class, and get in touch if you have any issues! Got a student who’s mentioned going away or moving? Remind them that they can keep up their classes with you! Do you write a column in a newspaper? Speak at events? Make TV appearances? 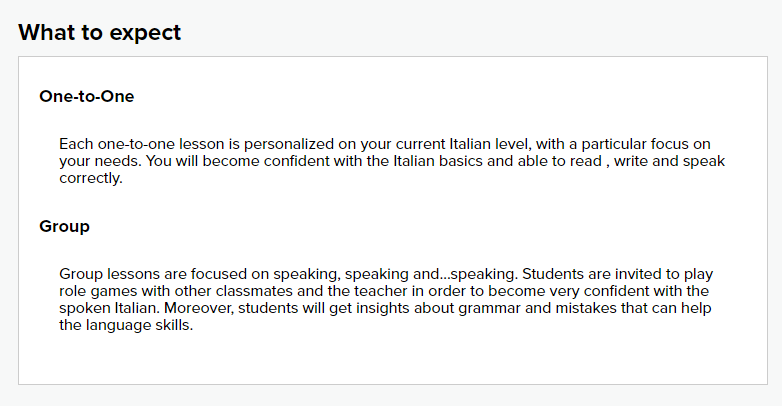 If you have to provide a profile about yourself, mention that you teach on HowNow. If your work is being seen you might well be attracting people who are interested in learning from you. Letting them know that they can find you on HowNow is a great way to capitalise on interest, especially if the geography won’t work. If you’re looking to increase your mailing list or your social media following, a giveaway is a great way to do it. There are great applications like Gleam or Rafflecopter which make it super-easy to set up a prize draw where a user gives their email address or follows you on social media in order to be entered into a draw. An online class is a great option for a prize because it doesn’t depend on location and there’s no financial outlay for you. You’d just need to contact the winner afterwards to give them a prize code (contact us if you ever need this) and voila! You’ve run a competition! Please note that we do not advise waving your profits around willy-nilly, no matter how much this stylish photo may suggest otherwise. Don’t forget, if you do need any more advice, it’s always worth getting in touch to ask – we might just be able to help. You may not have noticed, because it’s hardly been mentioned at all, but it is now a new year. As such, everybody’s making resolutions and planning on becoming better people. We’re not that into making tough resolutions that make January a more unpleasant month than it already is. However, we definitely agree with making little changes that make life way more awesome. 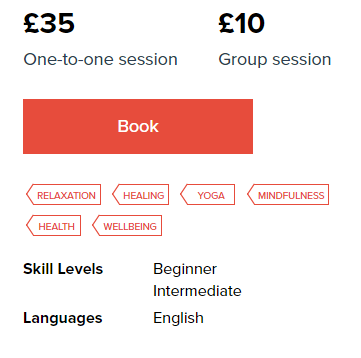 So, whatever positive change you’re making this month, we’ve probably got a class that can help you. Veganuary is a thing now. It’s pretty self-explanatory, and involves eating vegan in January. It’s healthy, and it’s also good for the environment. If you can stand to be away from the bacon for a full weeks, you might find you can do it forever. There are HowNow teachers who can guide you through the process of cooking a whole host of delicious, vegan recipes, so you’ll never run out of inspiration. It’s not the most original, but after several weeks eating nothing but sausages in bacon and quality street, and washing it all down with wine (just me?) lots of people use the momentum of a new year to improve their fitness. It can be really hard to drag yourself to the gym, so imagine if you could exercise with a trainer in the comfort of your own home. As it so happens, we can totally help you to do that. Modern life, guys, am I right? We’re forever running around, commuting for hours, getting work emails at all times of the day and night… It’s a juggling act, and it shouldn’t be. One of the easiest ways to start the new year feeling less stressed is to set aside some time every day that’s just for you. For example, you could try meditation. Close the door for a while, switch off your phone, and focus on yourself. Bliss. Maybe you can’t wait to do some travelling in 2017. You might want to try living in a new country. Maybe you just want a new challenge, or to earn some bragging rights. These are all perfectly valid reasons to start learning a new language. The easiest way to start is to talk to people in the language you’re learning, and we know a whole load of awesome folks who can help with that. Picture the scene: You have to go to work. You get out of bed, get dressed, and walk ten paces to your sofa. Because that is your office. Because you work for yourself. It’s the dream but, when you’re running around at the beck and call of your boss, it can feel totally unattainable. Maybe 2017 will be the year that changes. Start learning how to put your plans into action today, and thank us later. Maybe you want to turn your passion into profit and teach your own classes – we could even help you with that. Maybe you’re about to start a new phase in your life and you want to remember everything. Maybe you got a flashy new camera for Christmas and you need to know how to use it. The best way to make sure you’re creating memories in 2017 is to start now. And a great place to start is by making sure you know what you’re doing. Are you sick of microwave meals and cereal dinners? Do you feel like you might be getting judged by the people who run your local takeaway? It’s time to learn how to cook. Whether you’ve got delicate baking or hearty meals in mind, there are professionals out there who can talk you through the whole process in your own kitchen. Just remember to send us some when you’re done. So, what changes, if any, are you planning on making in 2017? Whatever they are, remember to keep it positive rather than punishing. The new year is a great opportunity to do new things, but no man (or anyone else, for that matter) is an island – if you need help, let someone else step in and lend a hand. It just so happens we know a few. Once you’ve decided to teach classes on HowNow, and you’ve planned what your lessons will be like, it’s time to post your class listing. This is what students will see when they make their bookings, so a great listing is crucial. Luckily, we put together a guide for how to complete each section. The first thing you’ll need to come up with for your class listing is a title and a one-line description. These appear on the browse pages so they need to be compelling to attract users to click. 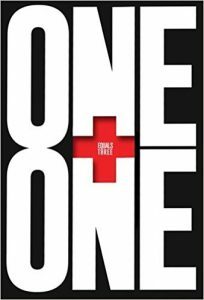 Try to avoid having a one-word class title, or using the words ‘one-to-one’, ‘group’, or anything like ‘class’ or ‘lesson’. Students will already know that it’s a class by the fact that it’s on HowNow, and you’ll use your tags to let them know if it’s one-to-one or for groups. Try to make your one-line description long enough to fill the space available – so about 100 characters. You have the choice between adding a video introduction to your class or adding a header image. These appear within the class listing itself. If you add a video, make sure you introduce yourself and what students will learn in the class. However, avoid going into so much detail that people no longer feel the need to make a booking. If you decide to add an image instead, make sure it’s a high quality one. Avoid images with a white background, and images which are actually a lot of text. If you want to use a logo, the place to do that is as your profile picture rather than as a header image. This is the section where you can give users an idea of what your class offers without going into specifics. This overview needs to apply to people who are visiting your class listing to book their tenth session just as much as it applies to total beginners, so keep it general and use lots of keywords because those will help your SEO. You might choose to give a bit of information about your teaching technique, or what a student will gain from a series of sessions with you. 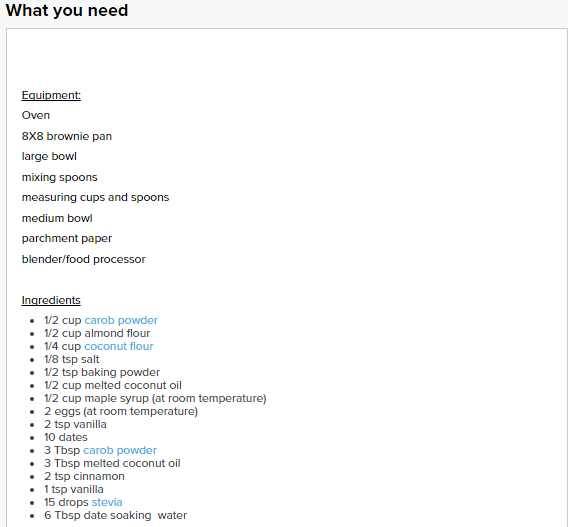 The next section you’ll come to when writing your class listing is ‘what you need’. This lets the student know what they’ll need to have access to before they take your session. You need to give them the best possible opportunity to get prepared before the day, so list everything. You might have a long list or a very short one. It may be that you don’t require your students to have anything. All of these are fine, just make sure you’re transparent in your listing. This part of your class listing will actually appear at the top of the page next to your header. This is where you can let people know what levels you can teach, what languages you teach in, and how much you charge. You should also add keywords, but definitely avoid using words like ‘lessons’, ‘classes’ and ‘online’. 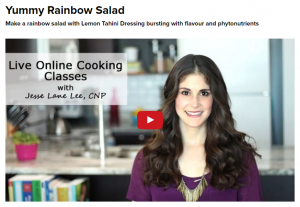 Everything on the site is an online class so these won’t help you to stand out. Make sure your keywords refer to the content of the class. Make sure that your class listing lets people know what to expect in your sessions. If you are teaching both one-to-one and group classes, try to let people know what the differences between the formats will be. Once you’ve done that people will be able to decide which type of class they’ll be happier taking part in and a comfortable student is a goof student. It’s vital that you connect your Google calendar to HowNow. This is the easiest way for you to let us know when you’re available. A great class listing will give potential students a lot of time options. By having as much free time in your calendar as possible you maximise your chances of getting bookings. Ultimately, your HowNow class listing is the place to sell yourself. Don’t be afraid to brag, but don’t forget that you also need to appeal to total beginners who might not know what you’re talking about. That’ll soon change after your first session, though.